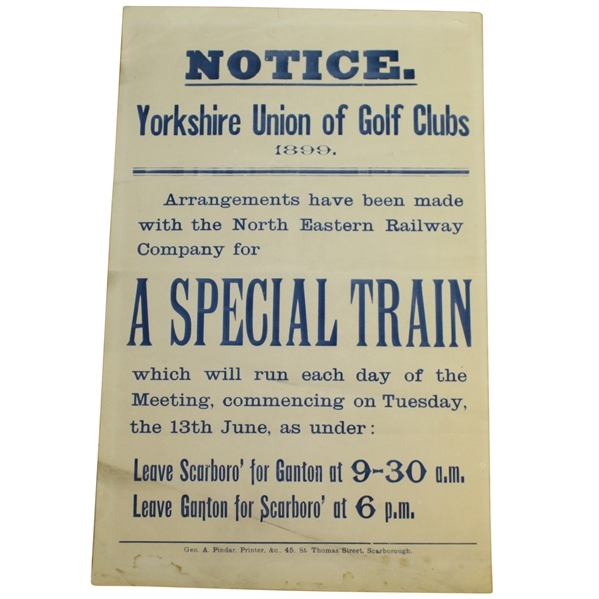 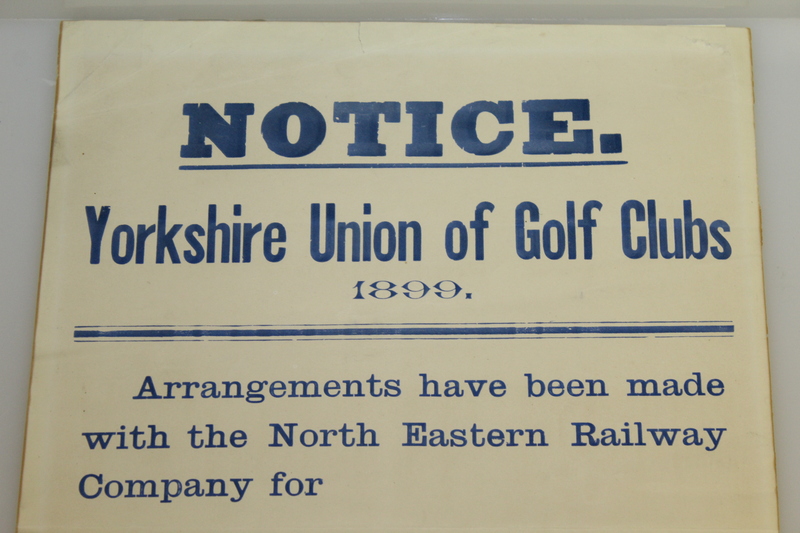 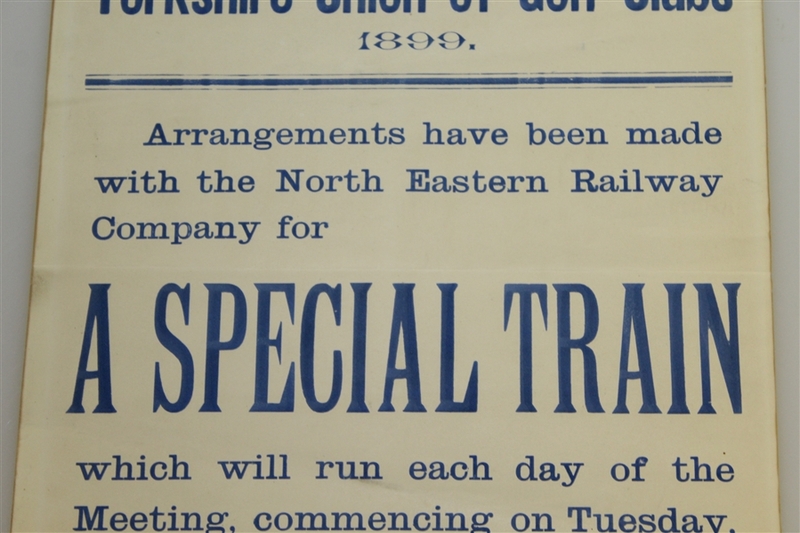 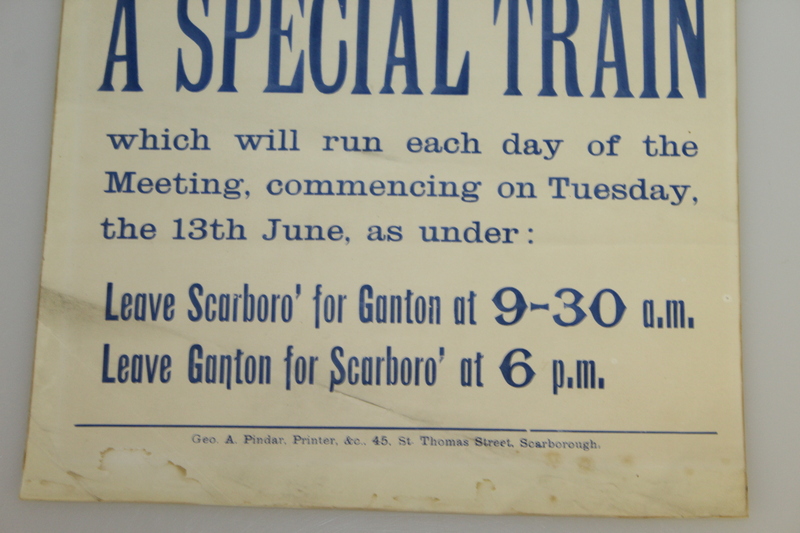 Offered here is an advertisement from the Yorkshire Union of Golf Clubs announcing a train schedule back and forth from Scarboro to Ganton. 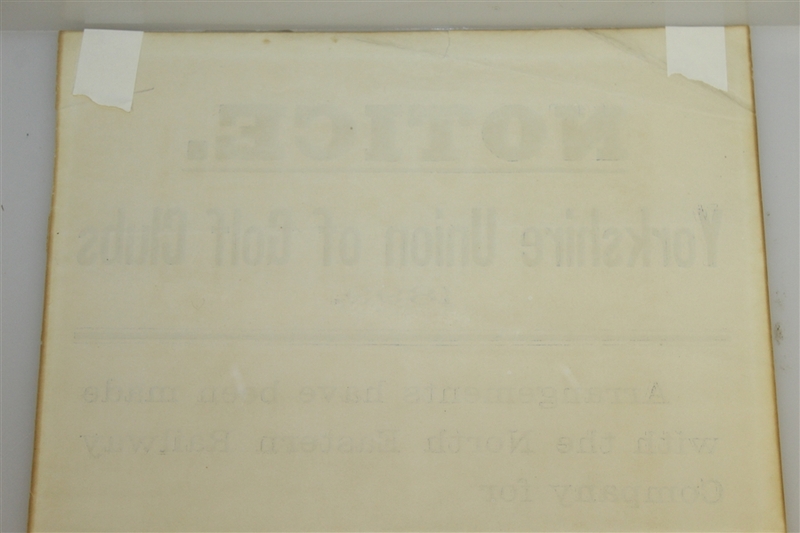 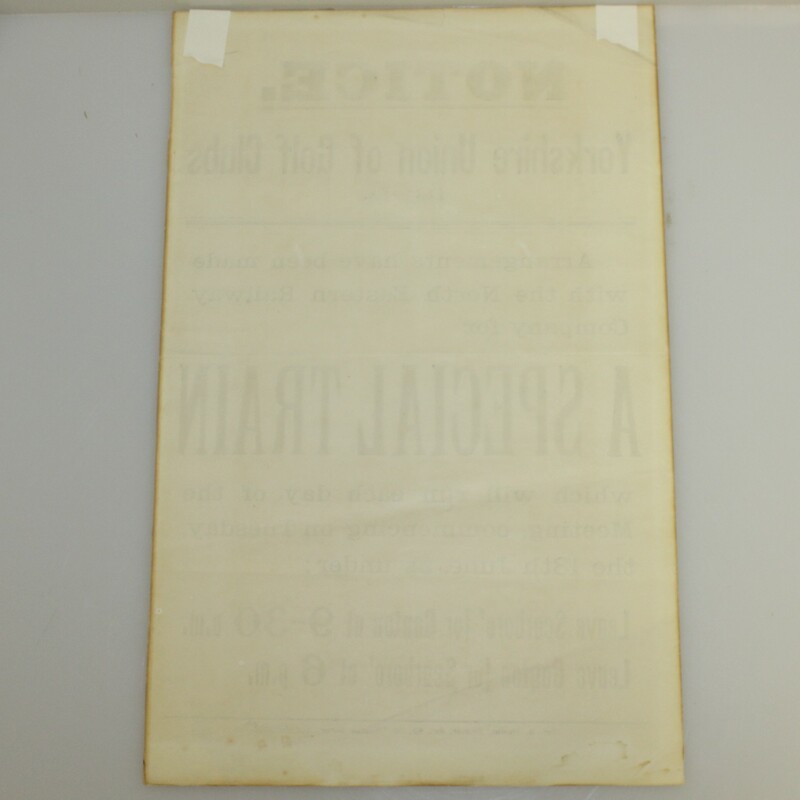 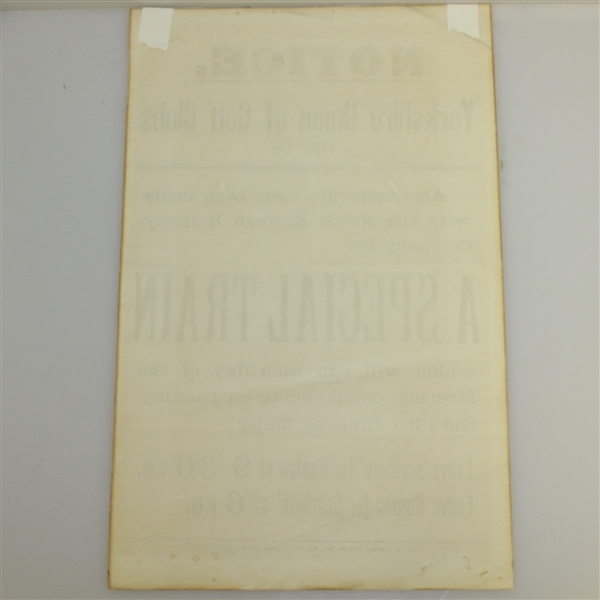 The sheet comes in good condition. The Yorkshire Union of Golf Clubs was founded in 1894 and still operates to this day. 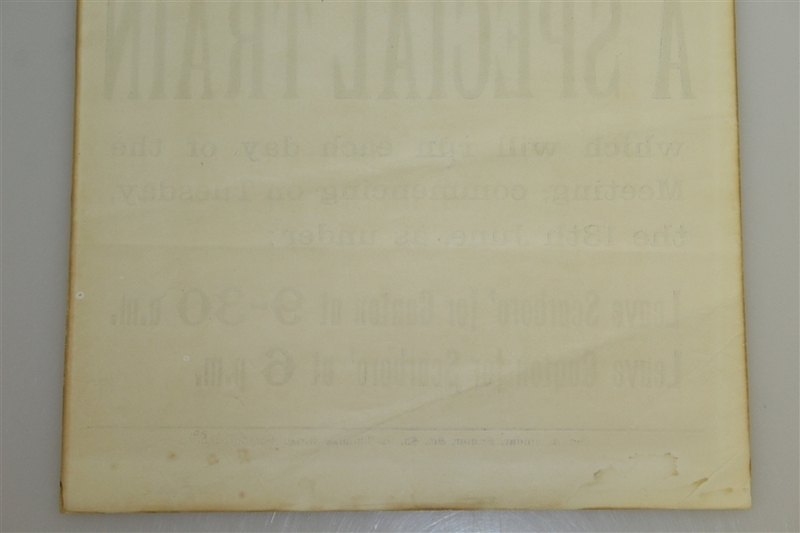 17 1/4" x 11 1/4"